I think I would have a heart attack from the cuteness of it all if I were this man. 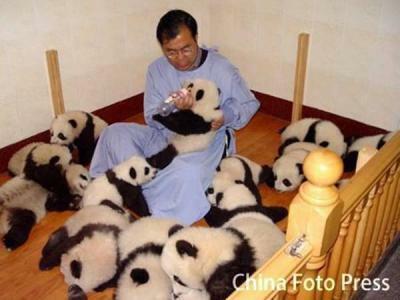 Bottle-feeding a baby panda amidst a sea of baby pandas. China is a wonderful place, I don’t care what all you anti-free trade people say. How could it be bad when it has places like this? Plus they invented delicious fish balls! A couple more photos after the jump, and the rest of them here. 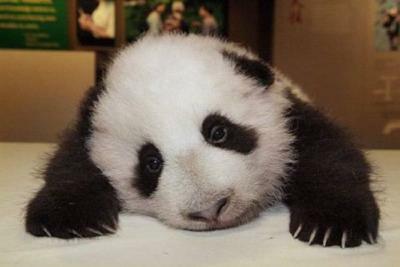 3 Comments on "Panda nursery"
Yes, that is absolutely adorable, but China is not a great place in my book until they stop eating dogs and cats and shut down the bear farms where they extract their bile ruthlessly! 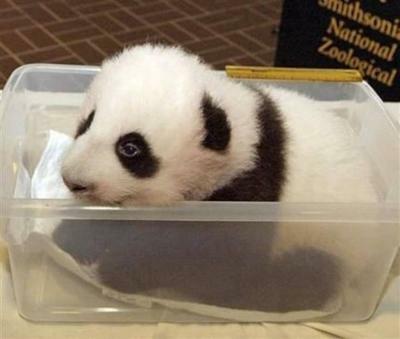 aww, it’s cuter than britney spears’s baby…no wait…cuter than paris hilton’s crotch…oh god, sorry. ummm, just the most adorable thing i’ve seen all day!